A public-private partnership formed in response to fight two strains of human sleeping sickness in Northern Uganda. The Stamp Out Sleeping sickness (SOS) campaign is a public-private partnership launched in Kampala, Uganda in 2006. This partnership was formed in response to an emergency situation arising in a number of districts in Northern Uganda where the two existing strains of human sleeping sickness (Rhodesiense and Gambiense) threatened to converge. 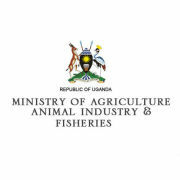 The initiative brings together the Government of Uganda, Ceva Santé Animale, IKARE and other academic institutions to manage the disease by treating cattle reservoirs that carries the sleeping sickness parasite before it is transmitted to humans. The initiative provided the cattle farmers the know-how and affordable access to veterinary services to treat their livestock with insecticides on a daily basis. Furthermore, farmers and key stakeholders were educated on the cause of the sleeping sickness and its close link between animals and human health. Preventing the convergence of the two forms of sleeping sickness. Reducing the cases of sleeping sickness in the areas where treatment of cattle was undertaken. Creating employment through the provision of veterinary products and services. Improving the health and livelihood of cattle and people in the SOS area. Uganda Trypanosomiasis Control Council (UTCC) was created by Parliament as a corporate body through the enactment of statute No. 16 of 8th October 1992 which legalized the Council, the Technical Committee and COCTU as the Secretariat of the Council. This was an effort to rationalize the tsetse and trypanosomiasis research and control in Uganda. The Secretariat closely relates with Development Partners who support tsetse and trypanosomiasis project programmes. There is also linkage with International Research Institutions especially International Livestock Research Institute (ILRI), International Centre for Insect Physiology and Ecology (ICIPE) the Swiss Tropical Institute and Centre for Veterinary Tropical Medicine (CTVM). Honest, committed and dedicated to the task at hand, with high motivation and strong sense of responsibility. Capable of development beyond needs that the Secretariat can rise to the challenges of tsetse and trypanosomiasis. To act as a spring-board for national, regional and international cooperation in tsetse and trypanosomiasis research and control. To carry out such other functions within the objects and functions of the Council as the Council may direct. 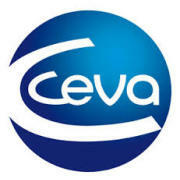 Ceva Santé Animale is a global veterinary health company focused on the research, development, production and marketing of pharmaceutical products and vaccines for companiion animals, livestock, swine and poultry. Founded in 1999, their expertise centres on the two fields of pharmacology and biology, where They have dedicated teams that aim to meet the specific demands of the companion animal, poultry, ruminant and swine sectors. They continually strive to find better solutions to existing and emerging diseases which will in turn improve animal health and productivity. Their care extends beyond animal health and welfare. These days, a staggering 75% of all emerging human infectious diseases are of animal origin. Ceva is involved in the fight against the spread of infectious disease that can be transmitted from wild or domestic animals and birds to humans – diseases known as zoonoses, which include avian flu, brucellosis and Q-fever. Ceva is a visible supporter of and contributor to various welfare and social programmes all over the world. Their work ranges from researching, developing, producing and supplying animal health products to the poorest livestock owners in the world, of which their SOS (Stamp Out Sleeping sickness) programme in Uganda is a good example; to supplying the UK’s largest dog welfare charity with Dog Appeasing Pheromone (Adaptil®) collars, to help make the lives of dogs in shelter less stressful. Their global business operations are divided into six major zones: Western Europe, Central and Eastern Europe (incl. Turkey), North America, Latin America, Africa/Middle East and Asia/Pacific. They are directly present in 42 countries, have 13 research and development centres, 21 production sites and more than 3500 employees worldwide. The company is focused on the research, development, production and marketing of pharmaceutical products and vaccines for companion animal, poultry, ruminant and swine. Their research teams are located around the world, as the need to find talented scientists, more than ever, knows no national boundaries. As a result, they have a global research and development (R&D) structure with pharmaceutical centres in Libourne (France), Paulínia (Brazil) and Cavriago (Italy). Their biology campuses are located in Kansas City (USA), Cuernavaca (Mexico), Campinas (Brazil), Budapest (Hungary) Tokyo (Japan), Beijing (China) and Buenos Aires (Argentina). Ceva's decentralized structure allows each team great autonomy to develop their own ideas, while regular expert group meetings give their teams the opportunity to network internally as well as with the many external institutes, universities and private research groups that contribute significantly to their R&D programmes. Vision: The health of animals, people and the planet are inextricably linked. The world needs a holistic approach to health, that understands that, by protecting the health of animals and their environment, they protect their own health and future. They believe in customer passion, shaping each solution and the way they work around each customer’s specific business ambitions, needs and challenges. They build strong, long-term relationships and work as partners, innovating and developing new solutions together. Their entrepreneurial spirit empowers individuals with the agility to deliver results faster and quicker. they share knowledge and take opportunities. They think and do things differently, creatively. All to find the best possible solutions for their customers. Solidarity is about teamwork. Their shared purpose to combat the world’s major animal health challenges. They give individuals space to make decisions and they respect each other’s work. This extends into their customers’ worlds where they foster open, collaborative relationships. Their innovation mindset keeps us focused on the highest quality and continuous improvement. It’s not just about product innovation but constantly challenging themselves to find new ways to create long-term value – for us and for their customers. IKARE Ltd (pronounced "I care") is a UK registered charity applying venture philanthropic principles to the causes it supports. IKARE aims to overlay private equity investment techniques and other business expertise and practices into these causes or "investees", thereby contributing more than just funding. Since its inception in 2006, IKARE’s resources have been fully dedicated to the SOS campaign, launched in Kampala, Uganda, in October of the same year. Working together with universities across Edinburgh, the UK and Makerere, Uganda, as well as with the international veterinary pharmaceutical company Ceva Santé Animale, headquartered in France, the SOS campaign aims to control sleeping sickness in Uganda, the only country to be affected by both forms of this lethal disease spread by the tse-tse fly which kills more than 100 people every day in Africa. In addition to providing emergency treatment to around 220,000 cattle in five districts in Northern Uganda, IKARE and its partners are focused on building a sustainable defence to the disease, through educating and teaching both local farmers and key stakeholders on sleeping sickness and the links between animal health and human health, as well as ensuring the availability and affordability of treatments, allowing farmers to treat their cattle on a regular basis. The University of Edinburgh, founded in 1583, is the sixth-oldest university in the English-speaking world and one of Scotland's ancient universities. It was the fourth university to be established in Scotland and the 6th in the United Kingdom, and is regarded as one of the most prestigious universities in the world. The university is deeply embedded in the fabric of the city, with many of the buildings in the historic Old Town belonging to the university. Edinburgh Infectious Diseases brings together over 150 Principal Investigators and over 760 active researchers across the spectrum of infectious disease science and clinical medicine at Edinburgh; while most Edinburgh Infectious Diseases members are based at one of the three larger sites (King's Buildings, Little France and the Roslin Institute), significant numbers are located at other centres including the Western General Hospital, Teviot Place and associated bodies such as the Moredun Institute, and Edinburgh Napier and Heriot Watt Universities. Edinburgh Infectious Diseases also includes members of the Wellcome Trust-funded Centre for Immunity, Infection and Evolution. 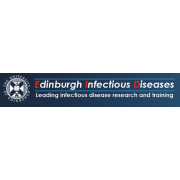 Edinburgh Infectious Diseases is funded by contributions from the University Colleges of Science and Engineering, Medicine & Veterinary Medicine and Humanities and Social Science. It is run by a 10-member Executive Committee drawn from across the various sites, and administered by a full time Executive Manager. - Foster infectious disease teaching and training at all levels within the University, including the development of new postgraduate initiatives. College of Veterinary Medicine, Animal Resources and Bio-Security (COVAB), Makerere University, by far the oldest and leading academic veterinary institution in the region, is Uganda’s number one academic, research and education pillar in the animal and associated industries. Her primary mandates are - training, research and outreach services. The Makerere University Act of 1970 established it as a legal entity that became the Makerere University School of Veterinary Medicine in 1971. In between the 70s and 90s, guided by a public-sector led economy, COVAB primary aim was to produce quality veterinary degree graduates to serve in the state sponsored veterinary departments across the country. COVAB envisions her purpose as to capacitate people and empower communities while fostering sustainable development through impact-oriented research, training and offering services in animal and related agricultural, biomedical and wildlife tourism industries. The goal is to contribute to improved well-being of Ugandans and sustainable economic growth. COVAB has shifted from being a mono-degree institution, offering the state sponsored classical Bachelor of Veterinary Medicine degree, to a multi-degree and multifunction service institution offering diverse demand driven undergraduate and graduate training programs, research and development outreach services. Employee (Ivory tower) to Employer (Entrepreneurial) graduates and staff. 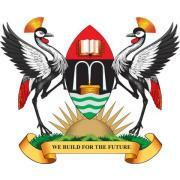 A college to a Constituent Regional Veterinary College of Makerere University.